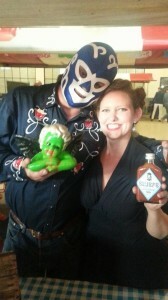 WINNER BEST HOT SAUCE DUTCH CHILI FEST 2014/15! Deep smokey-ness of real mexican dried chilies is the foundation for the ‘Flavor of the Revolution’! Check out El Jefe’s Facebook page to find out where he will be next!